Leicester City’s home defeat against Portsmouth on Saturday might not have definitively ended their hopes of securing a Championship play-off place, but it has certainly put another nail in the coffin. The recruitment of Sven-Göran Eriksson initially looked like a masterstroke, as the Swede inspired a dramatic improvement in the team’s fortunes, including a run of seven wins and one draw after the turn of the year, but Leicester’s surge up the table has virtually ground to a halt in March. However, few leagues are more competitive than the Championship and while there’s life, there’s hope, particularly as the Foxes are still only five points away from featuring in the end-of-season play-offs. Although Sven’s reputation has been somewhat tarnished in recent times, not least by the miserable experience as director of football at Notts County, the recruitment of a manager with such international pedigree (Benfica, Lazio, Manchester City among others) still represents something of a coup for the East Midlands club. The Swede’s reputation has helped tempt a number of familiar faces into joining Leicester’s promotion challenge, including former England international Darius Vassell and a veritable army of other players on loan, including Nigerian powerhouse Yakubu. Of course, such an influx of new players can be a double-edged sword: on the one hand, it can improve the quality of the squad, but on the other hand too many changes are difficult to quickly absorb. Despite the fact that every politician now routinely places change at the forefront of his manifesto, it’s not that easy to put into practice, which might help explain Leicester’s current struggles. At least the funding for the new players is an impressive show of commitment from the club’s new Thai owners, Vichai Raksriaksorn and his 25-year-old son Aiyawatt, known as Top, who lead the consortium that bought the club from Milan Mandaric last August. Vichai is estimated to be worth around £115 million, which apparently ranks him 27th on the Forbes list of the richest men in Thailand, but it is Aiyawatt who runs the club on a day-to-day basis. The source of the family’s wealth is the King Power duty free business, which has the monopoly on retail business at Bangkok Airport and signed a three-year shirt sponsorship deal with Leicester just a week before the takeover. So far, so good, but many fans were uncomfortable with the lack of transparency around the deal, including minor details like how much money the club had been sold for, who exactly had bought the club and what had happened to the club’s debts. In fairness, many of the questions have now been answered with the accounts revealing that 100% of the club was sold to Asia Football Investments including the assignment of all shareholder loans, with the ultimate owner being Vichai through his company K Power Sports Limited (based in the British Virgin Isles). Moreover, the Football League finally ratified the change in ownership in October under their new (presumably more stringent) regulations. However, the new owners’ objectives are still not crystal clear, at least to this observer. Indeed, in November, Leicester City revealed that there was, in fact, a second major shareholder, namely Cronus Sports Management, owned by Iman Arif, an Indonesian businessman who is prominent in the Asian mining industry and is also a member of the Indonesian Football Federation, which now has 20% of the club’s shares. The remaining 80% stake remains with Asia Football Investments. Of course, the amended ownership structure does not imply any Machiavellian manoeuvres, but it might encourage the detractors to raise a quizzical eyebrow. At least Leicester’s chief executive, Lee Hoos, is a believer, describing the new owners as “the real deal”, and, to be fair, they have certainly put their money where their mouth is to date. Doubts about the motives of the new investors may seem overly cynical, but when it comes to football clubs, the motto is surely, “once bitten, twice shy.” In particular, Leicester City fans don’t have to look too far for empty promises, as Milan Mandaric promised to “take the Foxes back to top flight football” when he came to the club in February 2007, but instead presided over Leicester’s first ever season in the third tier of English football, when they were relegated to League One in 2007/08. Although Mandaric is clearly a very charismatic individual with an ability to inspire supporters with his ambition and visions of success, his achievements have not always matched up to the fine rhetoric. He often spoke of bringing financial stability to Leicester City, overlooking the inconvenient fact that the club recorded large losses in every single year of his tenure, while spending all of the turnover and more on the wage bill. To his credit, he personally covered Leicester’s funding and has underwritten the club’s losses, but it is difficult to get the specifics on exactly how much money he put into the club. 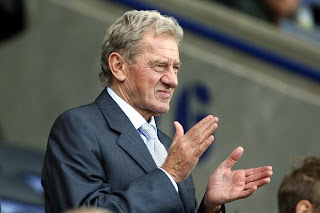 Certainly, when Mandaric first approached Leicester, his bid was deemed unsatisfactory by several shareholders with one claiming that it did not have “a hope in hell” of succeeding. The highly regarded David Conn of the Guardian suggested that he paid no more than £600,000 for his shares, though he pledged to invest a further £9 million into the club. Importantly, however, he did guarantee debts of around £20 million, including £17 million owed to the US finance company Teachers for the financing of the construction of the Walkers Stadium. "Put your hands up for Milan"
The man himself said that he “will have failed”, if Leicester were not “in the Premiership in three years”, but being criticised for missing that optimistic target is perhaps a trifle harsh. It is however entirely reasonable to challenge his assertion that “when I leave, the club will be in far better shape than it is now.” Here, the report card is fairly damning: the club is still mid-table in the Championship, while the losses and debts have grown. Chief executive Lee Hoos begs to differ, arguing that Mandaric should primarily be applauded for bringing new investors to the table. With its undertones of Macbeth, “Nothing in his life became him like the leaving of it”, this is faint praise indeed and raises the awful spectre of Mandaric’s departure from Portsmouth, where the new owners did not exactly work out too well for the south coast club. 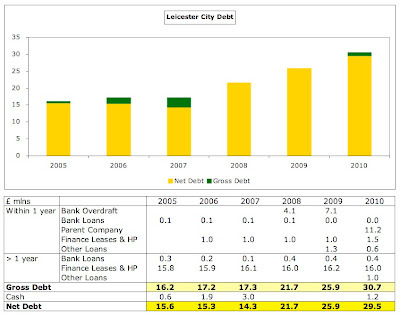 At least the auditors have given Leicester’s accounts a clean bill of health for the last two years, which was not the case in 2007/08, when they included the dreaded “Emphasis of Matter” statement, ominously warning, “The financial statements have been prepared on a going concern basis and the validity of this depends on the directors being able to obtain additional funds from the ultimate controlling party to enable the company to continue in business.” To put it simply, there was a risk that Leicester City would go bust, unless the owners stumped up the cash, so Mandaric’s commitment to “stand by the club” was important for its survival. "No Turkish delight for Darius Vassell"
Long-suffering Foxes fans are no strangers to seeing their club hit financial difficulties, as the club entered administration in October 2002 following relegation from the Premier League, when they were hit by a perfect storm of debts arising from the construction of a new stadium, the collapse of ITV Digital and a high wage bill. The club only escaped from insolvency four months later when ex-player Gary Lineker and a group of local businessmen bought them for £5 million, but creditors received just 10p in the pound, including HM Revenue and Customs, who had to write-off more than £6 million of the outstanding tax bill. Leicester’s cause has not been helped by the managerial merry-go-round taking place at the Walkers Stadium, despite the 2005 accounts stating, “The appointment of a manager is arguably the most important decision a football can make.” If that were indeed the case, you’d think that they would take a little more care when making such decisions. Incredibly, Eriksson is the fifteenth manager Leicester have had since 2004, though I may have lost count, and is the ninth appointment since Mandaric took the reins. Maybe the board thinks that practice makes perfect, but that has not prevented them appointing some real duds, such as Gary Megson (9 games) and Martin Allen (4 games). 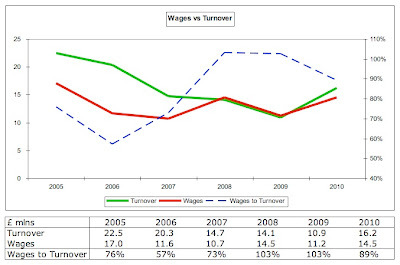 Apart from the unnecessary cost of paying compensation for all these managerial ch-ch-ch-ch-changes (© David Bowie), there is the additional expense of continually having to bring in new players that suit the incoming manager’s tactics, while the consequent lack of stability is hardly conducive to success on the pitch. It takes time to transform a team’s playing style, but Leicester have not been willing to grant their managers that luxury. It’s not so long ago since Leicester enjoyed some success. After being promoted to the Premier League in 1996 under O’Neill, they finished in the top ten four years in succession and also won the League Cup twice, which meant qualification for Europe. However, things have gone downhill since the departure of the man from Northern Ireland. Peter Taylor’s ill-fated reign is remembered for some truly abysmal transfer purchases, including the dreadful striking partnership of Ade Akinbiyi (£5.5 million) and Trevor Benjamin (£1 million). After the club was duly relegated in 2002, Micky Adams somehow managed to get the Foxes straight back up, but it was a Pyrrhic victory, as the club did not have the means to survive at the highest level, so they only lasted a solitary season before immediately dropping back down to the Championship in 2004. 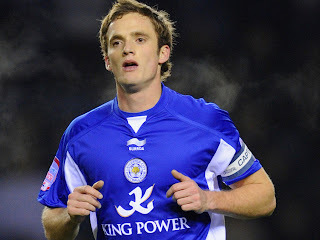 "Andy King - Prince of Wales"
Thus, Leicester have been excluded from the riches of the Premier League for seven seasons, though it was a case of “so near, so far” last year, as they finished fifth in the Championship and only lost on penalties to Cardiff in the play-off semi-final. Having got so close, most people must have thought that this would have been the perfect time to build on the season’s efforts. Instead, Mandaric opted to drive Pearson away, before recruiting a completely different manager, Sousa, who decided that he would replace many of the stars with untried foreign players with predictably bad results, bringing us neatly to Sven’s turn to throw the dice. Since then, the strategy would appear to have been modified in favour of gambling on attaining that elusive position in the Premier League, because “retaining a strong football squad to fight for a promotion place limited the amount of sensible cost reduction we could enforce.” Translation: we’re going to over-spend on wages in the hope that the (theoretically) better players will drag us over the finishing line. This has been exacerbated by the flood of loan players, though, to be fair, Leicester are far from alone in pursuing such a policy, as the size of the prize is so vast. It also paid off a couple of years ago when the club bounced back from League One, assisted by a relatively high wage bill (for that division). 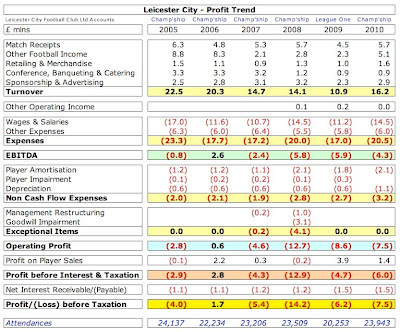 Although Mandaric said that his aim was “to return Leicester City to a self-sustaining business”, the harsh reality is that the club’s current business model is almost certain to produce losses, unless they: (a) manage to sell a player for serious money; or (b) gain promotion to the Premier League. The last time that the club made a profit (£1.7 million) was in 2005/06, when its revenue was boosted by the final parachute payment of £6.5 million following relegation from the Premiership. 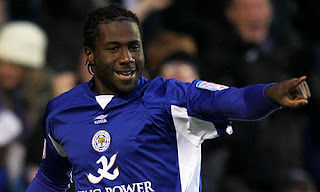 Since then, Leicester’s total losses for the last four years add up to a frightening £33 million, including the club’s record deficit of £14.2 million in 2007/08, though this was impacted by £4 million of exceptional charges (£3 million for goodwill impairment following the acquisition of the club in 2003 and £1 million for management restructuring). "Richie Wellens shows his battling spirit"
New vice-chairman Aiyawatt Raksriaksorn hinted at a new ethos, “Of course, we don’t want to write off losses every year. We will try to make it break even first. That is the target. Then we will look to make a profit.” Sounds good, but the chances are that the losses will get worse before they get better, as the club spends the additional funding provided by the Thais on bringing in new players, further driving up the wage bill. 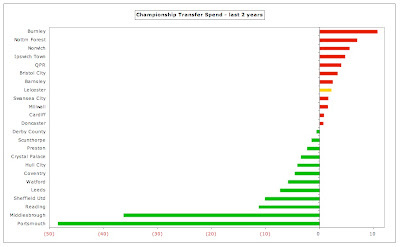 To be fair to Leicester (and other clubs of their ilk), they have to spend to remain competitive in the Championship, especially as the revenue at clubs that are relegated from the Premier League is effectively boosted twice, first by the substantial funds they receive while in the top tier, second by the parachute payments. In this way, the Premier League really is the gift that keeps on giving – or at least for another four years, as teams receive a total of £48 million in parachute payments following relegation (£16 million in each of the first two years, £8 million in each of years three and four). Let’s take Burnley, one of the sides competing with Leicester for a play-off place. 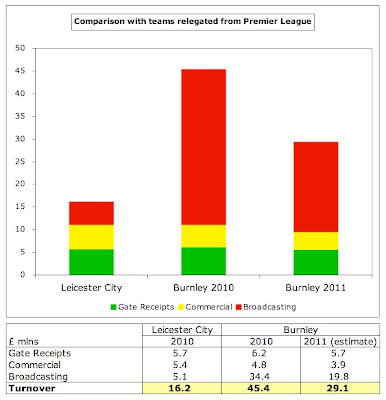 Last season, the Clarets’ revenue of £45 million was significantly higher than Leicester’s £16 million, almost entirely due to the difference in broadcasting income (£34 million compared to £5 million), as the revenue from gate receipts and commercial activities was near enough the same. Following relegation to the Championship, Burnley’s projected revenue will still be much more than Leicester, purely due to the £16 million parachute payments. That’s hardly a level playing field, so begins to justify Leicester’s apparently suicidal financial strategy. This is why people refer to the Championship play-off final as one of the most lucrative matches in world football with the value estimated at £90 million. Even if the promoted club came straight back down, it would receive £40 million TV income plus £48 million parachute payments plus additional gate receipts and commercial revenue. Of course, if it finished higher in the Premier League, the club would receive even more TV money and every season survived adds another £40 million to the coffers. It’s incredible to think that just one place in the football pyramid can make such a difference. In truth, the financial gap between the Premier League and the Championship continues to grow, which is why clubs are so desperate to reach the promised land of the top division. Of course, it is still possible to do this without risking the financial health of the club, but it’s not easy and many are not willing to patiently wait for players to be developed and a successful team to be built. The television money in the Championship is mainly sourced from the Football League central distribution of £2.5 million that is made to all clubs, which was increased last season, plus a £1 million solidarity payment from the Premier League. The latter funding was introduced in 2007/08, but it doesn’t really make any meaningful impression on the revenue gap between the two leagues. Gate receipts increased from £4.5 million to £5.7 million last season, following the return to the Championship, which saw an 18% increase in the average attendance from 20,253 to 23,943, and additional income from reaching the play-offs. This is an impressive demonstration of the fans’ support for their club, especially attracting more than 20,000 in League One, and highlights Leicester’s potential. In fact, the average crowds last year were higher than five Premier League clubs (Fulham, Bolton, Burnley, Portsmouth and Wigan). "Kyle Naughton - loan star"
This year, the attendances have held up, despite the tough economic environment, averaging 23,623 after 17 matches, which is the fourth highest in the Championship. This was partly due to an early bird scheme for season ticket renewals, which is being repeated this season with a small price increase of £1 per game. Not a huge amount, but I can’t help noting that the new owners had pledged not to raise ticket prices. The club moved away from Filbert Street in 2002 to the Walkers Stadium, a spanking new 32,500 all-seater stadium. Former shirt sponsors Walkers, the Leicestershire based crisp manufacturers, signed a ten-year deal for naming rights that same year, and the agreement was renegotiated in 2007, when they again paid a “seven-figure sum” to extend the deal until 2017. 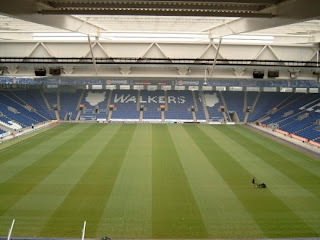 The new owners have spoken of their desire to rename the ground as the King Power Stadium, but it is not yet clear whether Walkers would be willing to walk away. They have also talked about plans to increase the capacity by nearly a third to 42,000 if they secure promotion. Back in 2005, the club announced in its accounts that it was “committed to further expanding its commercial activities”, but this has proved to be easier said than done: retail and merchandising revenue is effectively unchanged (£1.5 million in 2005 and £1.6 million in 2010), while sponsorship and advertising has hardly grown (from £2.5 million to £2.9 million). Income from conferences, banqueting and catering has actually decreased from £3.3 million to £0.9 million, though this is partly due to outsourcing catering to Compass in 2008. On the cost side, the wage bill is the key factor. Wages rose almost 30% last season from £11.2 million to £14.5 million, reflecting the promotion to the Championship. This was exactly the same as the wage bill the last time they were in that division two years ago in 2008 and is actually less than the £17 million they paid out in 2005, so it’s not as if their spending is out of control. The problem is that their revenue is low and has decreased after the loss of the parachute payment, so the important wages to turnover ratio is still of concern. Although this has come down from the high of 103%, it still stands at 89%, which is considerably above UEFA’s recommended maximum limit of 70%., and may well worsen this season, as a result of the new players recruited first by Sousa, then Eriksson. Even though Leicester have spent relatively big on wages, the same accusation cannot really be leveled at the club with regard to the transfer market. In fact, in the last eight years their net spend has been only £3 million. Even this represents an increase on previous years, when the Foxes made good money from player sales, moving on the likes of Emil Heskey, Neil Lennon and Gary Rowett. These days, the club’s sights have been lowered, so few big money purchases are made, but equally little money has been received when transferring players. The most expensive signing last summer was Martyn Waghorn from Sunderland at just £3 million, while Sven’s costliest acquisition to date is the uncompromising defender Sol Bamba from Hibernian for a fee of £250,000. That said, Leicester’s net spend of £2 million over the last two seasons amazingly still leaves them among the highest spenders in the Championship with only seven clubs paying out more. There are three reasons for this apparent anomaly. The first two are fairly obvious: one is that the clubs in the Championship are strapped for cash; the second is that half the clubs in that league have simply sold more players than they have bought. The other reason for the low spend is more interesting, namely that the use of the loan system has shot up in the Championship this season. Championship rules allow clubs to take up to six players on loan at a time and to include up to five of them in an 18-man match day squad. However, the main driver of the growth is the Premier League’s introduction of a 25-man limit in the size of the squad. Players aged 21 and under are not included in the cap, so logically clubs have taken on more quality young players. They need playing time, so Premier League clubs are now more willing to loan players, even funding some of the wages during the loan period. This is particularly relevant for leading clubs, who have allowed many of their players to go out on loan to the Championship: Tottenham 9, Arsenal 7, Chelsea 7, Manchester City 7, Manchester United 5 and Liverpool 3. Many clubs have taken advantage of this trend, few more so than Leicester who have taken an incredible 12 players on loan so far this season, only surpassed by Sheffield United. 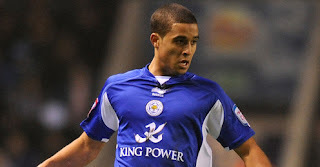 Some of the more experienced professionals like Roman Bednar, Curtis Davies and Chris Kirkland have failed to make an impact at the lower level, but promising youngsters like Kyle Naughton (from Spurs), Jeffrey Bruma (Chelsea) and Ben Mee (Manchester City) have cemented their places in Leicester’s defence. 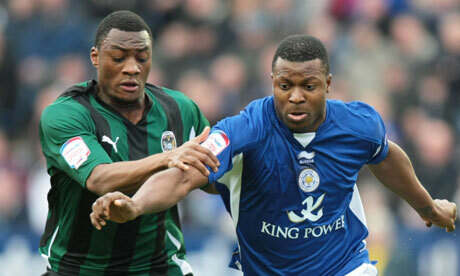 However, it is the eye-opening loan signings of international strikers Yakubu (from Everton) and Diomansy Kamara (from Fulham) that really signals the intent of Leicester’s new Thai owners. Although they have not yet provided the funds for any major permanent signings, all these loan players have not come cheap. While some of the wages will no doubt be subsidised by their Premier League employers, this must be having a detrimental effect on Leicester’s wage bill, which the owners have to cover. Yes, some of the loan stars are youngsters, whose salaries are probably not that high, but the sheer quantity of loan players is likely to have greatly increased the club’s costs. Indeed, the latest accounts specifically mention that since the books closed the new owners have injected a further £10.85 million of working capital into the business by way of parent company loans. This is on top of the £29.5 million net debt reported as at 31 May 2010, so the current borrowings probably amount to over £40 million – or a worrying 2.5 times the club’s annual turnover. In fairness, very little is owed to the banks, as £22 million of this comes from the owners. The terms of the new loan from the Thais are unknown, but the previous parent company loans of £11 million which they took on are unsecured and non-interest bearing. They are repayable on demand, though Asia Football Investments confirmed that they would not seek repayment of these loans within 12 months of the date of signing the accounts if such payment would prejudice the ability of the club to settle its other obligations, so there is some comfort there. The other substantial debt of £17 million is connected to the building of the stadium, which is the subject of a hire purchase contract. Interestingly, the repayment terms depend on which division of the football league the club plays in, so presumably promotion to the Premier League would imply higher annual charges. There are also £1.6 million other third party loans, which attract interest at 1.23%, and £0.4 million bank loans, secured on the club’s property, with interest payable at 1.75% above the bank base rate. The chairman of the Football League, Greg Clarke, who ironically was chairman at Leicester City when the Foxes went into administration with large debts, has warned of the dangers facing clubs, “Debt's the biggest problem. If I had to list the 10 things about football that keep me awake at night, it would be debt one to 10. The level of debt is absolutely unsustainable. We are heading for the precipice and we will get there quicker than people think.” Sobering stuff from a man who has been there, seen the sights and bought the t-shirt. Even so, Leicester’s balance sheet looks reasonably healthy at first glance with net assets of £5 million, but that is largely due to the £41 million value ascribed to the stadium, based on a revaluation performed in 2009. On closer inspection, for amounts falling due within one year, the net current liabilities stand at £21 million, excluding the £10.85 million loans made since the accounts were published. Of course, the net book value of the players, considered as intangible assets in accounting circles, is significantly under-stated at £3 million, as they are worth significantly more in the real world with the directors’ market valuation of the squad being £16 million. The only problem is that in order to realise that value, the club would have to sell the players, which would leave a few gaps in Sven’s formation. The fact is that Leicester continue to require funding from the owners to pay for their strategy, as can be seen from the cash flow statement. Large cash outflows have been financed by money from share capital payments and increased borrowing, which has amounted to £20 million in the last four years and is now up to £31 million with the addition of the latest £10.85 million loan. The issue was neatly encapsulated in the latest accounts: “The directors have determined that whilst the business could continue to operate without obtaining significant additional monies, the achievement of the objective to secure a return to the premiership will require additional funding.” That’s fine from a financial perspective, so long as your wealthy owner continues to pump money in, but nobody has bottomless pockets and Vichai Raksriaksorn has already complained that the consortium has had to invest more than they thought when they bought the club. The “sugar daddy” model is one that has come to be accepted by football fans everywhere, but it does carry risks if the benefactor one day decides to exit stage left, which could happen for a plethora of reasons. As a pertinent example, the last time a Thai took over an English football club it ended in tears, when Thaksin Shinawatra, the exiled former Thai prime minister, sold Manchester City only a year after he arrived, having fallen out with a certain Sven-Göran Eriksson. 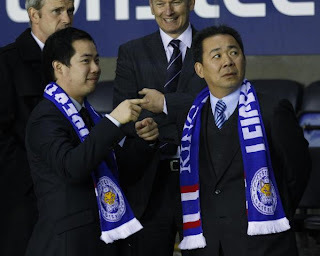 Clearly, not all Thai investors are cut from the same cloth, but a reasonable question might be whether Leicester’s new owners have the wherewithal to fund their dream of getting the club into the Premier League. The £115 million that Raksriaksorn is reportedly worth might be a fortune to the likes of you and me, but it’s debatable whether it’s enough to cover many years of losses at a football club in an era when billionaires are the entrepreneur of choice. "Diomansy - maybe not forever"
That might explain a growing trend whereby foreign businessmen are increasingly looking to invest in Championship clubs, as they can buy them more cheaply than Premier League clubs, hoping to secure a larger return by funding a promotion to the top flight. On top of that, Mandaric proclaimed that the deal would “strengthen the squad and youth academy by bringing additional financial support and introducing a new global network of contacts and access to player talent”, but Vichai has admitted that the goal of his consortium is “to build Thailand as a football academy for Asia in the future.” A noble objective, for sure, but it’s not clear exactly what implications this might have for the Foxes. Leicester City is clearly a club with a lot of potential, which is what has attracted the new owners and indeed Eriksson, who commented, “The target for this club is to reach the Premier League, hopefully this year. If not this year, then next year. I think the ambition of the club is fantastic. If they did not have that ambition, then I would not be interested.” And there lies the crux of the matter: what will happen if Leicester are not promoted in the next two years? 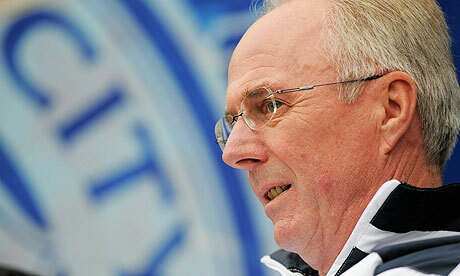 Will Sven stick around? Will the Thais be happy to cover the inevitable losses if Leicester remain in the Championship? 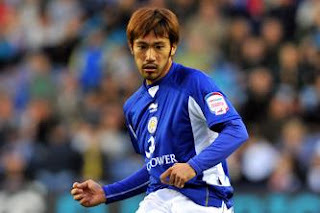 "Yuki Abe - Leicester's turning Japanese"
And that’s the point – the team still needs to do the business on the pitch. While promotion might look like a long shot right now, there will be many twists and turns in the dog-eat-dog Championship before the play-off places are decided. If Leicester’s exciting new signings do manage to gel under Sven’s shrewd guidance, then they might just fulfill the dreams of the new owners – and indeed the legions of fans that have followed them through thick and thin. 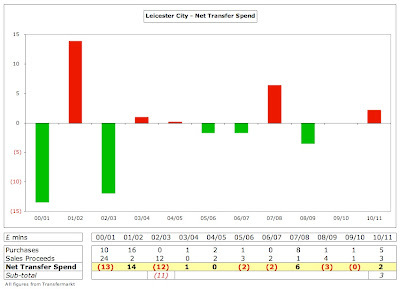 Wow, that's the most in depth financial report I've ever read about lcfc, or any other club for that matter. Fascinating stuff and a great read. So did mandaric walk away a richer man than when he arrived? Will we never know? Another interesting and in-depth article, once again my university work is delayed to read your latest blog! It did strike me that £115million isn't enough to finance a football club with Premier League desires these days! Although the new UEFA 'Fair Play' rules apply only to those in European competition, do you think clubs like LCFC (who rely on their 'sugar daddys') will be inclined to change their ways aswell? Hi, this is very nice blog, please contact me at support@flashscores.co.uk to get good link exchange offer. Best regards. I'm not sure that we will ever know. The man himself has given a variety of conflicting answers. I'm not sure that clubs like Leicester will change their ways while there is such a huge disparity between revenue in the Premier League and the Championship. The rewards are so huge that it almost makes sense to over-spend and gamble on promotion. In fact, although I am a believer in sustainable finances, the benefactor model can work OK for an individual club - so long as the benefactor remains at the club and continues to invest. Interesting read, although I feel you could have elaborated further on the role of the 20% owned by Cronus Sports Management, whose frontman is Iman Arif. News stories from Indonesia have suggested that the Bakrie family, supposedly one of the richest in Indonesia, is behind the Cronus Sports Management stake. Iman Arif has close connections to them. It's been suggested that they could be key to any future investment in the club. Aside from that I'm sceptical about the whole takeover. It seems to me that the Thai's bought LCFC to promote their company, and to try to help football in Thailand. I can't say that I think LCFC's long term future is their primary aim, because I don't believe it. One final point. LCFC has had a lot of managers since 2004, but it's 9, not 15. I guess you included caretakers. The owners did state that the way they intend to make money from the club is not by selling it as soon as it makes the Premier League but from retail, which is how they have made their money in the first place. People have reported LCFC on big screens in Bangkok Airport and shirts on sale to the several million people who go through the airport every year. Also, the owners personal fortune might be 'only' £125 million but the company he solely owns is worth £4 billion. The petty cash of a £4 billion company would probably finance a serious push for the Premier League. Yes, I also made the point that the owners' expertise was in the retail business, but I question whether this will make a significant difference to Leicester's revenue. According to a survey by a German sports marketing firm, the clubs that sell most shirts globally are Manchester United and Real Madrid (1.2 to 1.5 million a year). Other clubs on the list include Milan, Inter and Juventus who all sell between 400,000 and 600,000. It's difficult to imagine that Leicester could equal those sales, but let's assume that they managed to sell 400,000. At an estimated profit of £10 per shirt, that would mean an additional £4 million in revenue, which is still not enough to wipe out the losses. I've no doubt that you're right when you suggest that the owners can improve retail income, but expectations should be realistic for this revenue stream. It would be interesting to understand more about the role of Cronus Sports Management, but very little is known for sure, apart from the fact that Iman Arif is said to be connected to PT Bumi Resources, one of the world's fastest growing coal companies. Leicester's own chief executive Lee Hoos admitted, "In terms of how many billions he is worth, if billions at all, I couldn't tell you." He could yet turn out to be a key player at the club, but minority shareholders rarely wield much influence. The 15 managers since 2004 was sourced from an article by the BBC, which said that Sousa was the 14th manager since then, so Eriksson would be the 15th. As you say, this list must include caretakers. In any case, I think we would agree that it's a lot! A great read once again. In the Championship, the amount of fixtures tends to mean promotion goes to these with the best quality in depth, as opposed to the best starting XI. 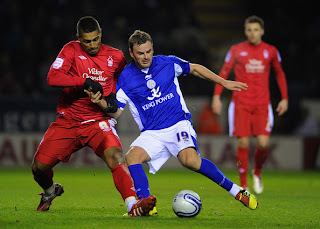 LCFC have this abundance, so I can definitely see them making a late charge for promotion, and this gamble paying off. Hi, I'm a reporter and would love to speak to you about footie finances in general; could you email me? smamudi at marketwatch dot com. 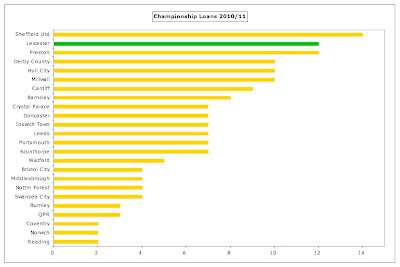 Although it’s true that Leicester have been competing with clubs who are enjoying parachute payments like Burnley and Hull, it’s actually been teams enjoying no such boost who have prevailed in this season’s Championship - QPR, Cardiff and Norwich most notably - so I think this makes the Foxes’ strategy even more risky. 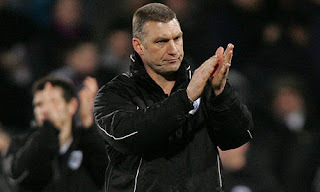 Edging Nigel Pearson out was indeed idiotic. I saw Leicester at Reading recently and although they played well and passed the ball pleasingly, the team structure still didn’t seem there and it was the inexpensive English-born midfield trio of Oakley, Wellens and King who impressed the most - Jeffrey Bruma was actually shockingly unimpressive on the day. There are rumours that Yakuku is on £50,000 a week which is nothing short of scandalous even if Leicester are only paying a proportion of that. It would be galling for fans of other clubs to see Leicester’s transfer and loan policy given the £21 million net current liabilities if only most other clubs weren't chancing their arm in the same way to varying degrees. My own favourites Reading also rely on the sugar daddy model as well of course. As ever, a strikingly brilliant analysis Swiss! Is Football's Gravy Train Slowing Down?